Well... looks like I am out $10 to the Blizz Pet Store. Dont lie. 95% of you thought/said this. FINALLY! I--as a feral druid--can go around with 판드랄의 불꽃낫 activated, with this pet renamed as 'Minime'. We shall rule the world with fiery cuteness. 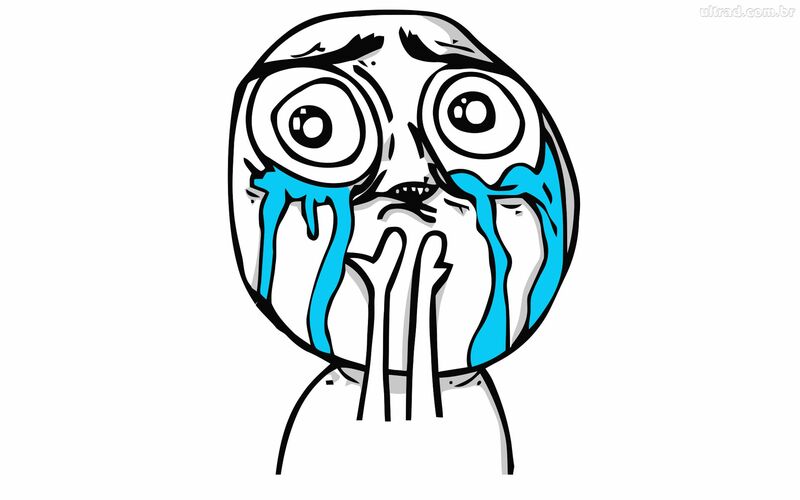 JUST LOOKAT THE LITTLE :3 FACE.
" A playful, purring, pyromaniac. Don't pet these kittens without fireproof mittens." I hope this isn't a blizz store or tcg item. Cause I actually want a chance of getting it. "Possibly purrrchasable from Blizzard Store"
Anyone else feel like this looks a little like Red XIII? If so then you agree that only makes it even more awesome. You have cat to be kitten me right meow. This thing is so darn cute. When will this purrfect pet be coming out? It was supposed to be in 5.1, but not in Blizz Store atm. Want it. Blizz finally announced it will be a charity pet on the store. This pet is in aid of Superstorm Sandy, and will cost $10 / €10 / £9, depending on where you live. The Japan appeal raised $2,000,000 last year. Let's hope it is just as successful this time around. This companion can be purchased on battle.net store for $10. According to Blizzard, 100% of the money that they get form this companion, is going directly to Red Cross to help the people that were hit by the Hurricane named Sandy. I'm absolutely going to get this companion at the Pet Store. Below you will see what Blizzard said about this companion. Support the Red Cross’s Superstorm Sandy Response relief efforts and adopt a Cinder Kitten when this fiery feline arrives in the Blizzard Store later this year. Your support will enable the Red Cross to provide shelter, food, emotional support, and other assistance to survivors of disasters like Superstorm Sandy with 100% of the $10 USD adoption fee during this charity drive going toward this worthy cause. applies to all characters within account? or only 1 character? The Master's power takes on many forms. Well looks like it's now not only a store pet, but one to help others from Sandy hitting the coast. This is incredibly adorable, but it needs to come out as soon as possible. People along the coast need all the help they can get sooner then later. I'm sooo getting one of these! Everyone who got hit with this storm friends, family, neighbors Stay Strong! I don't care where the money goes to, humans or not. I just want the pretty Kitten that's all. who cares that I already have over 400 companion pets, this one is calling my name. Can I use him as cooking fire ?.? Why have friends just annoyed when your cat rubs up against their leg when you can actually have them scream out in pain? Up until 24 Dec 2012, I will be giving away one Cinder Kitten to a lucky reader, head over to the post to find out more. GL! The Cinder Kitten went on sale in both US and EU stores on Decenber 4th, 2012 for $10. For every 잿불냥이 purchased between now and December 31, 2012 at 11:59 p.m. PST, Blizzard Entertainment will donate 100% of the $10 USD purchase price to the American Red Cross's Hurricane Sandy relief efforts. This support will enable the Red Cross to provide shelter, food, emotional support, and other assistance to victims of this disaster. Just bought this little "fool" lmao - its for a good cause . forget the silly mounts on sale right now .. Somehow I ended up with an entire litter of these playful, purring pyromaniacs. I'm afraid if I can't find them all homes, my whole shop's gonna go up in smoke! Thanks for helping out. But remember: Don't pet these kittens without fireproof mittens! "The Cinder Kitten doesn’t just have good looks -- this kitty has claws, and makes a purrfect addition to any Pet Battle team. The Cinder Kitten has Rare-quality stats and is a part of the Elemental family. This not-so-cool cat uses many Beast abilities in addition to Dragonkin and Elemental, and can also Prowl, Leap, and Rend its way to a 3-hit combo against its foes—and look good doing it." The 잿불냥이 has several fun animations. It will periodically groom itself, sit up on its hind legs, do a forward roll, and chase its own tail. Unlike some battle pets, it continues to do all of these animations in combat. Be warned: It also lets out several heart wrenching sounds when struck in combat. As a side note, please do not be fooled by Wowhead's 3D model viewer here. While the kitten does have very small wings under its shoulder armor, they are nowhere near the size and shape that the 3D viewer leads you to believe. Instead, go off of the many great screenshots that have been posted. Note: I did not include any information that had already been posted here, for further information that supplements my post please see perculia's comment here. His meowing sounds from clicking are so sad, makes me wanna pick him up and cuddle, and tell everything's gonna be fine! This would be great for a Druid with Fandral's Flamescythe that turns your cat form into a molten cat! (don't know how to link the Flamescythe item). It tries to playfully catch it's tail. Cinder Kitten has many different animations. Cinder Kitten leaves a trail of fire behind when he runs, sits down to groom his face, rolls forward while curled up in a little ball and occasionally chases his tail. Also, if you stand still, he will sit down next to you (just like the Baby Blizzard Bear) and go chasing after you when you walk away. This kitten makes a wide assortment of sounds. When clicked on, it makes a variety of cute mews and meows like a standard cat. When in a pet battle, though, it makes loud, shrill cries of distress when it's hit. Cat lovers, you may want to turn down the volume if you bring this cutie to a pet battle. I agree with you, the pet is really cute and strong in pet battles, but let me ask you something, when did America helped your country ? I'm from Serbia and can't say anything nice about them. As I found myself navigating to the store to buy this little guy, I couldn't help but feel slightly less of a man for doing it. Immediately afterwards I stopped caring about that and bought one. Best purchase ever. Cinder Kitten can get bugged. Some times it doesn't always appear even when I see and here the summoning animation for it. I'm reporting it. It has such cute animations! The sounds it makes when clicked on and its idle animations make this pet heart attack inducing. When it sits down, it takes a while, when it comes to you. Was wondering if its a bug or not. :D And it does meowing sounds, when you click it. Reference to the Cinderbog? Azjol-Nerub that never was? The Cinder Kitten now haz increased health. It looks like that armor helps a little after all. More precisely, the 잿불냥이's Base HP has been raised from 7 to 7.5; the breed id remains unchanged at 3. This results in a lvl 25 kitten having 1400 hp rather than 1319. I have confirmed these stats ingame. Public 1: Anyone notice the absolute broken grammar? Is now has? Daxxari: It was intentional, actually. I could change it to 'now haz' I suppose. Thus, we now know for sure that Daxxari was humorously invoking the popular lolcats meme. Soft kitty, warm kitty, little ball of...flame? In 3d view: Emotework for nightmare fuel. Cinder Kitten Raises Over $2.3 Million for Victims of Superstorm Sandy! 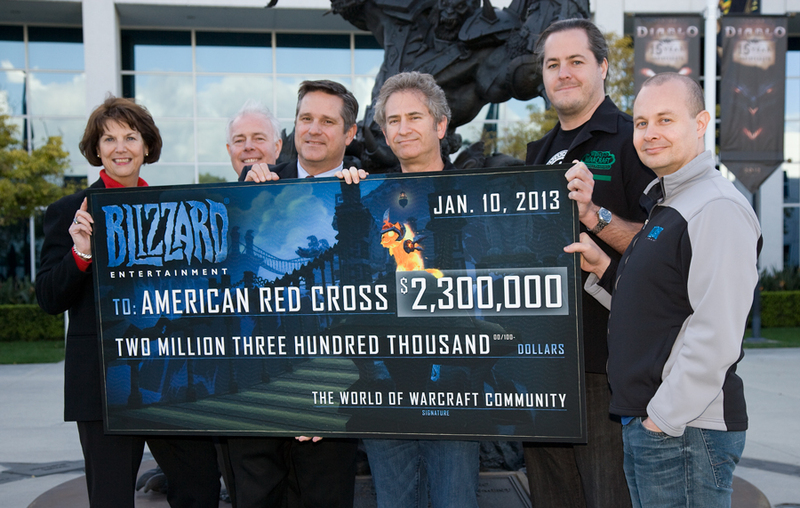 Thanks to the overwhelming generosity of World of Warcraft players around the world who purchased the Cinder Kitten pet, we’ve raised a total of more than $2.3 million USD to support the American Red Cross’s ongoing Superstorm Sandy relief efforts. In December, we announced that for every Cinder Kitten purchased by December 31, 2012, 100% of the adoption fee would be going to assist victims of this disaster -- and the community embraced this fiery feline in droves, helping out a great cause in the process. Thanks again to everyone who helped make a difference. A picture of the giant check being presented can be seen on the 잿불냥이's screenshots page here. Now as fan of pokemon games i want more elemental cats/dogs,lets get all of eeveelutions in wow! Wouldn'd it better if blizz congratulate "somehow"all those who contributed to the cause with a feat of strength by buying it? It's like a little rhino on flames. not exactly the same but its kinda similar to the pet of "Tsuna" character in "katekyo hitman reborn" anime series.. well the pet can only be found in the last few episodes of the series though. Oh god, whatever you do, do not go into the model viewer and press the "EmoteWork" action from the menu. Cinder kitten + Magical Pet Biscuit = baby Druid of the Flame. Adorable. Does anyone know if this can be put in a cage and sold on the AH? Just got this little cutie for Christmas (so did a friend), and we both have the same problem: the nameplate displays way up in the air, above the kitten... not right above it like it should be. Tried dismissing/resummoning, logging out/in, on different toons, etc, and nothing. Anyone else have this issue? So, I suddenly got this in the mail.. Idk how or why, as I did not buy it. And if someone gifted to me could i find out who it was? When you have this pet out, target the pet and then type /sit - he will jump into your lap for cuddles. It was 2 years ago I adopted my Cinder Kitten, one day I wondered about my kitty's gender, so I decided to write a ticket about this and it was Game Master Thallagnos' respond! 사용 효과: 애완동물 친구를 소환하는 법을 배웁니다.